We advise attending your first class with only a bottle of water and some active wear. The leader of your class will advise what weights would be best for you to start out with. The program utilizes hand and ankle weights to achieve the results. IF you are able to print, please print out the welcome packet available on the Member Resources page. Unlike many other classes of this nature, BoneBuilders does not require a formal membership. Just visit this page to sign up and then locate a class you are closest to HERE. How do I find the location closest to me? Please visit this page to find the class closest to you. Who sponsors the BoneBuilders of RI program? 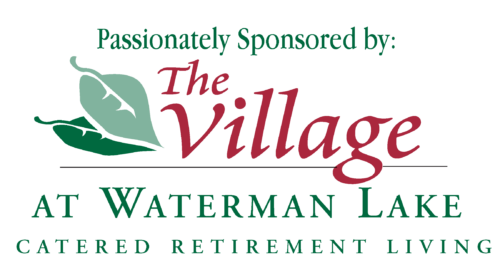 The program is sponsored by The Village at Waterman Lake and the donations from each location help to defray the costs associated with keeping the program operating within our strict standards. Do I have to be a Rhode Island resident to become a member? Absolutely not! Our classes are for everybody regardless of your address. Yes, all Leaders receive compensation for their time. What kind of training do the Leaders undergo? Each Leader is subjected to our 21 hour training program and then an annual refresher to learn new techniques and brush up on anything they may have been forgetting. Each class is also audited for quality assurance several times throughout the year. How do I become a BoneBuilders Leader? Currently we do one training each year but with enough demand we are willing to do emergency certification if it is possible. Please fill out the form located on this page to sign up. The form is located at the bottom of the page. Most BoneBuilders locations have a suggested donation of $2 per class. Please visit this page for welcome packets which contain the medical and personal waivers. Personal waivers should be signed immediately prior to participation in the program. Medical waivers should be handed in as soon as it is possible and can also be faxed to us. Please bear in mind, it is not always necessary to have an appointment to drop this waiver off to your PCP for clearance. I’ve never done this before, can I start at any time? Yes, even if a class has been active for an extended period of time and all of the regular participants are on an advanced repetition set, you can still participate. Each exercise is completely modifiable to new participants of varying capabilities. I haven’t exercised in years – can I do this? YES! Each exercise is easily modified to fit the needs and capabilities of each participant. Is a BoneBuilders class a judgement-free zone? You will find that the groups are very supportive of new members and that you could certainly classify a BB class as a “Judgement-free-zone”. If you have a question that is not answered here, please fill out this form and we’ll get back to you right away. You may also call us at (401) 949-Thirteen-Thirty-Three.